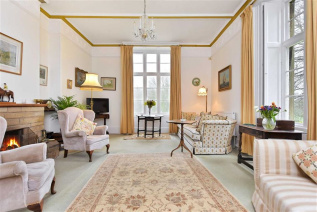 Dating from circa 1840, The Old Rectory is a handsome Grade II Listed property built of finely coursed limestone, with a Welsh slate roof. 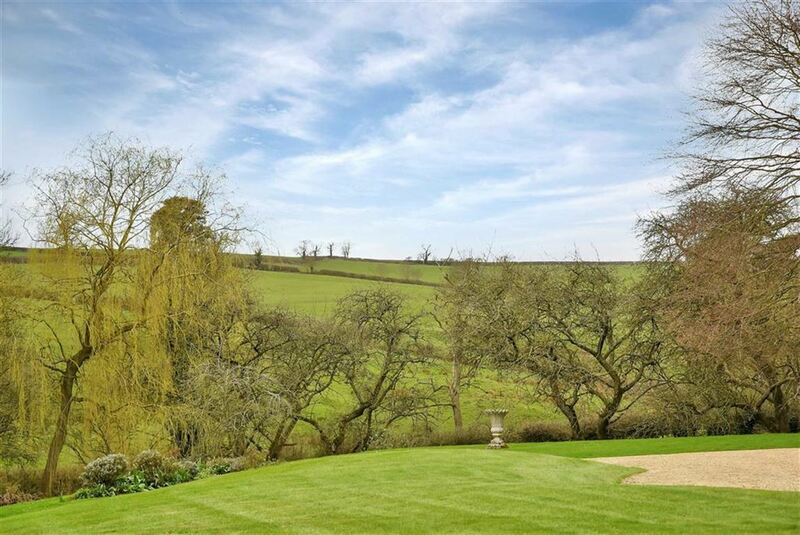 The property stands in a wonderful elevated position with lovely rural views. 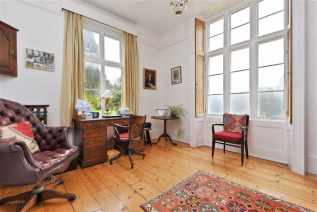 A substantial gothic style timber door opens into the entrance hall, which has flagstone flooring and access to the cloakroom. 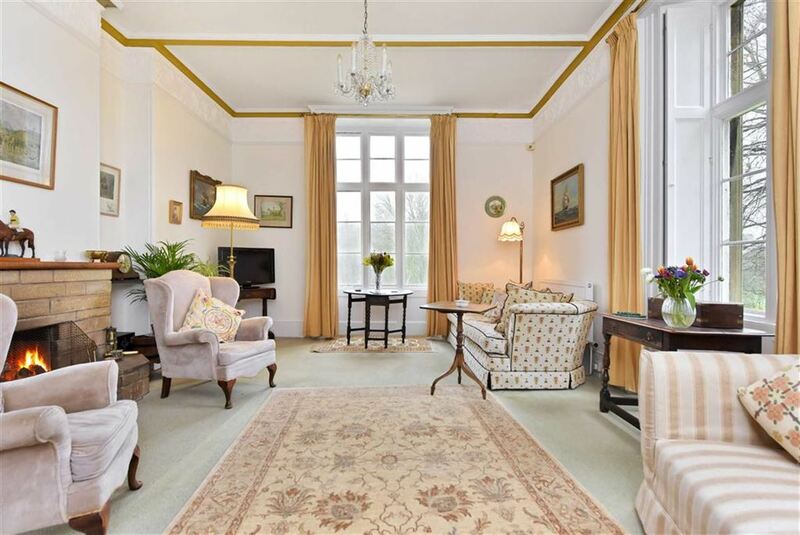 The elegant south facing drawing room has wonderful high ceilings and intricate cornices. 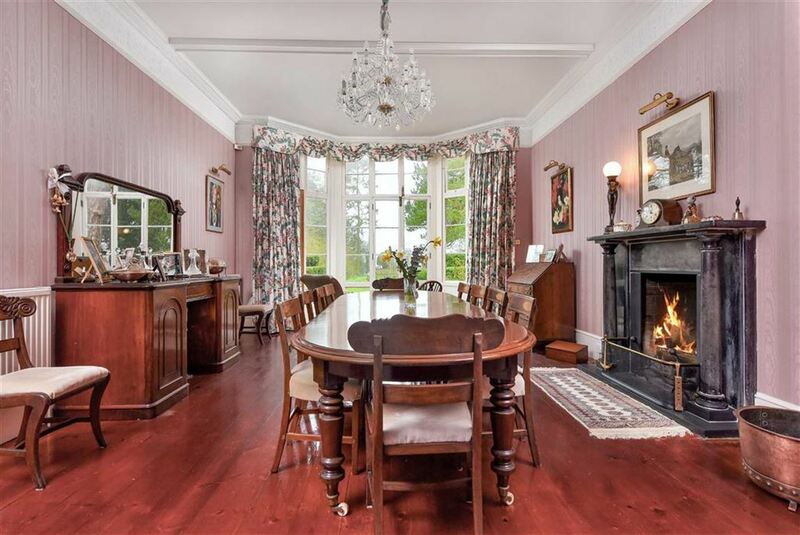 The striking dining room features a marble fireplace and a bay window with French doors leading out onto a pretty seating terrace where there are lovely views. 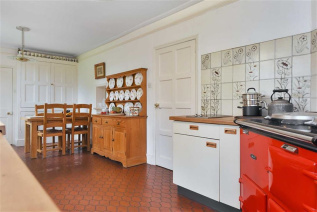 From the dining room there is access through to the breakfast kitchen (easily combined). Adjacent to the kitchen is a breakfast room (easily combined) with parquet flooring. A rear hall leads to the utility room with walk in pantry, a morning room with sandstone floor and a beautifully positioned study. The cellar is accessed off the rear hall as well as a second staircase. 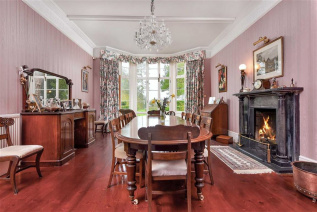 The principal oak staircase leads from the entrance hall to the first floor where there is a galleried landing and access to four of the six bedrooms. 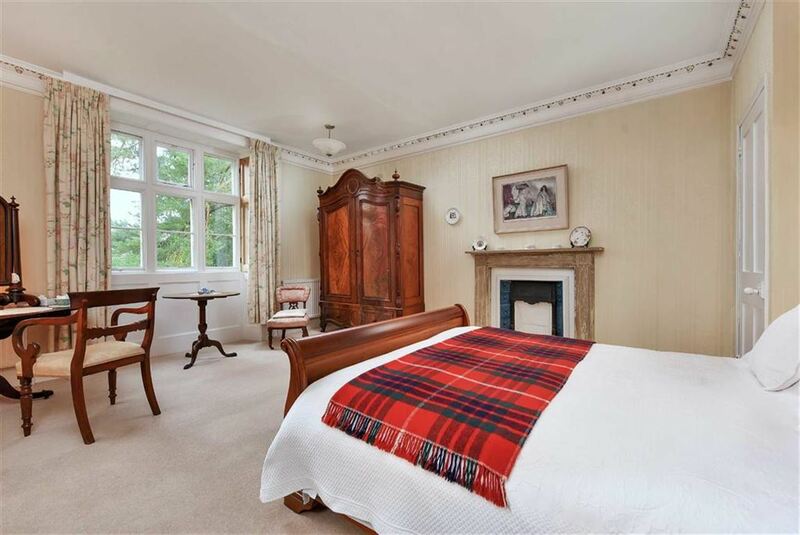 The master bedroom enjoys wonderful rural views, an ensuite and an adjacent dressing room which is currently used as a study. 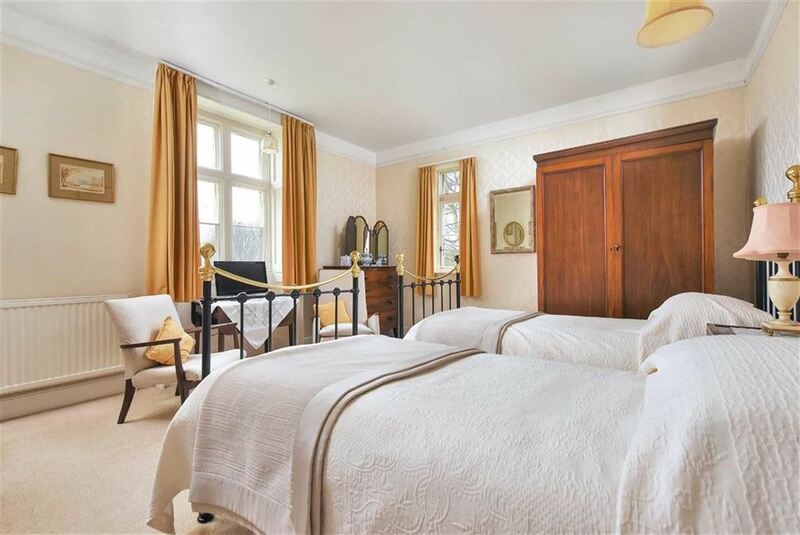 There is a dual aspect second bedroom, a further bedroom with ensuite bathroom, as well as a family bathroom with separate WC. The fourth bedroom acts a link to the east side of the first floor. This side of the house can also be accessed from the secondary staircase. 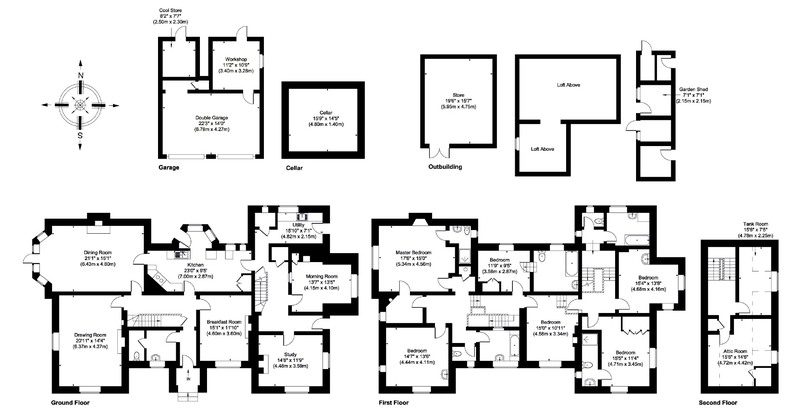 Here there are a further two bedrooms, one with ensuite and a family bathroom with fascinating independent spray bath. A further staircase leads to two attic rooms. 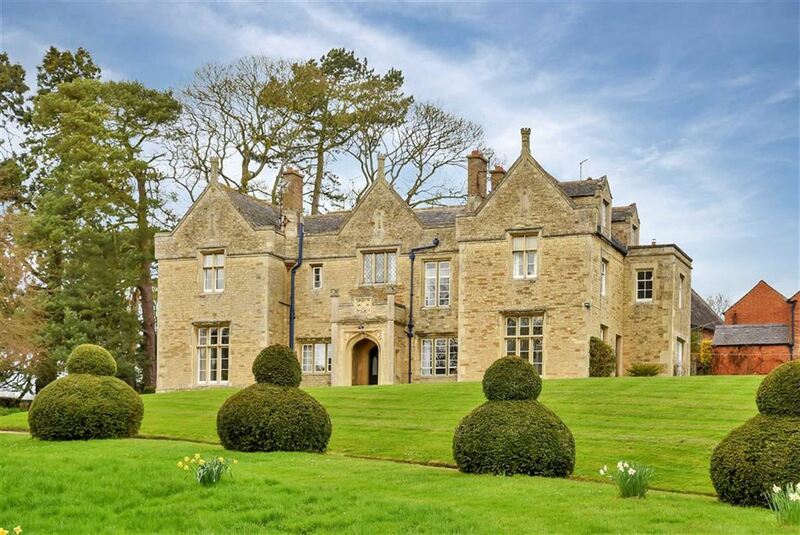 Wrought iron gates lead to a long gravelled drive edged by a clipped Yews that sweeps towards the house. There is a second access from Churchgate where there is also a right of access to a neighbouring property. 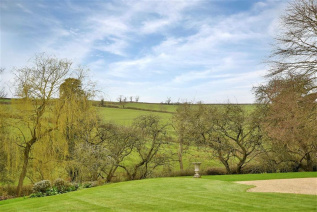 The Old Rectory is beautifully positioned in its generous gardens and grounds. 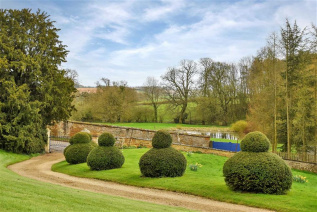 There are well-maintained lawns with herbaceous and shrub borders to include superb mature specimen trees including a glorious Copper Beech. There are some useful outbuildings including a carefully restored garage incorporating workshop, store and rooms above. There is run of garden stores housed in a brick outbuilding and a further large store attached to the village museum. 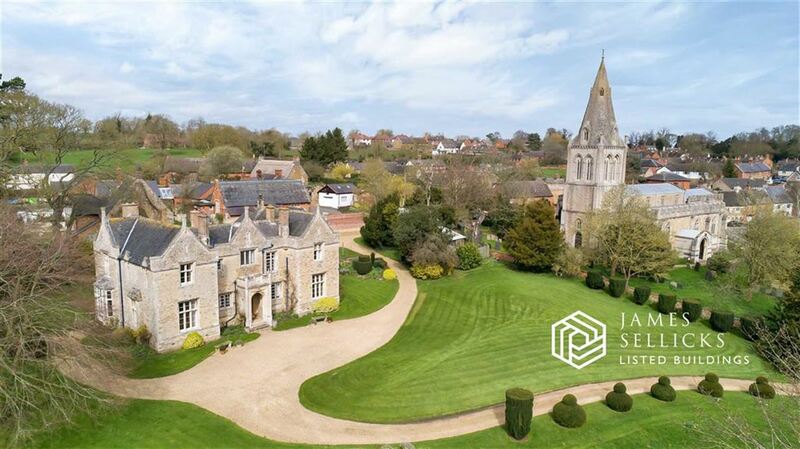 The Old Rectory is beautifully located in a commanding position adjacent to the village Church of St Michael and All Angels. 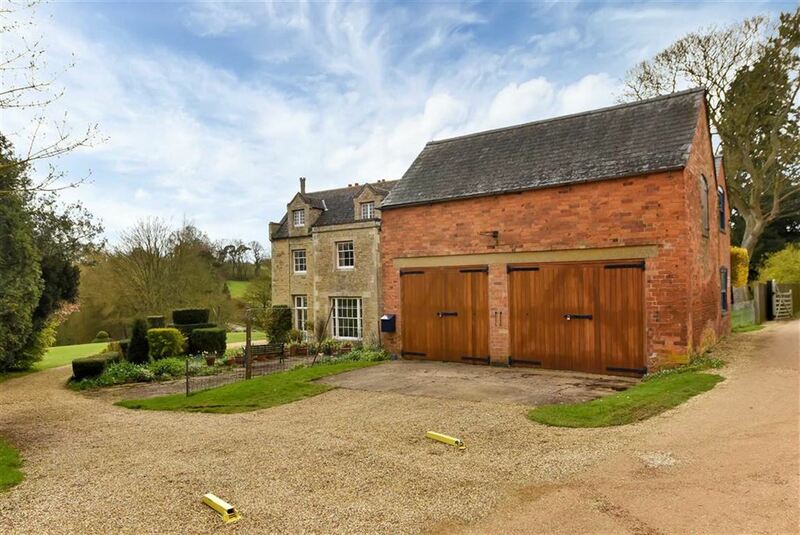 Hallaton is an extremely picturesque and sought after village located within the very popular Welland Valley. 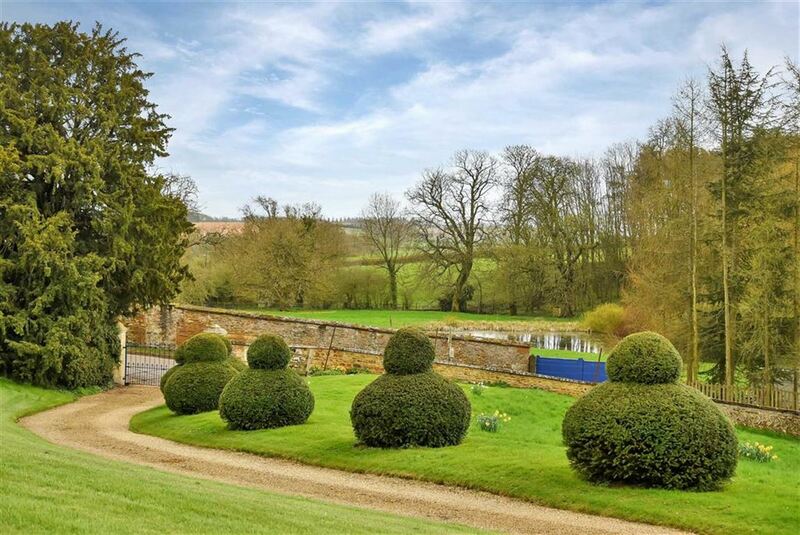 It's a thriving village and community conveniently situated for the market towns at Market Harborough, Oakham and Uppingham, with the regional centre at Leicester to the north. Leicester and Market Harborough both offer mainline rail links to London St. Pancras in under an hour. 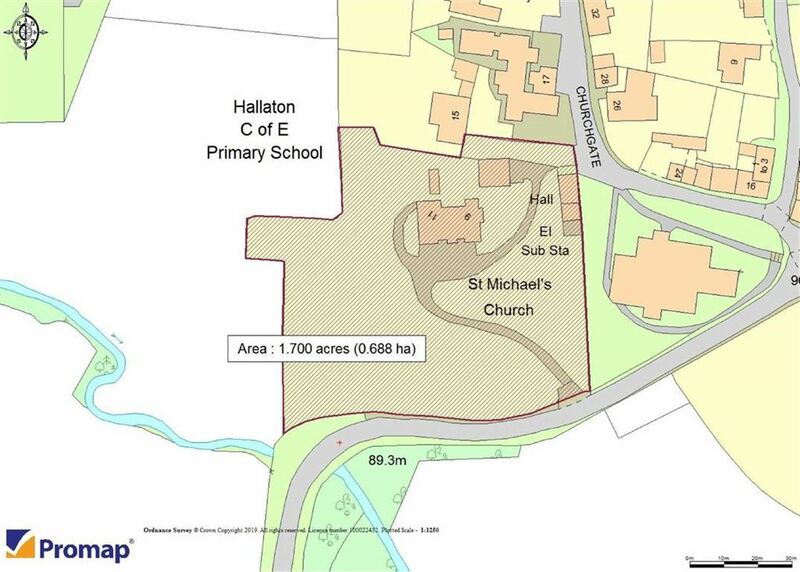 The area is very well served by popular schooling both in the state and private sector, Hallaton Primary School is particularly well regarded. 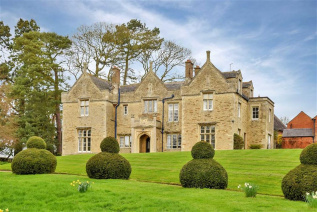 Sporting and leisure facilities are well catered for locally with Hallaton and nearby Medbourne. 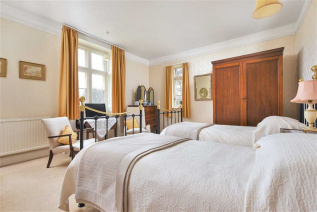 Hallaton boasts two popular public houses, parish church, village hall and recreational ground. 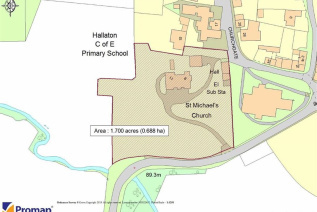 Proceed out of Market Harborough on A4304 St Marys Road, at the roundabout take the third exit on to A427 then left onto B664 Sutton Road and continue as signposted to the village of Hallaton. 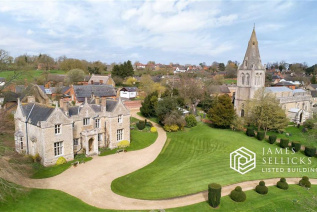 On entering the village turn left onto Medbourne Road, turn left onto Eastgate continue through the village past the church on your right hand side, after which the driveway can be found immediately after on the right.